Darth Sunshine: Sale-A-Bration is HERE!!! Sale-A-Bration is here! 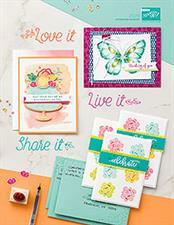 Stampin' Up's best promotion of the year will run from January 24 until March 31! For every $50 you spend you get to chose any item from the Sale-A-Bration catalog for free! Hostesses with workshops of $150 or more receive additional free Hostess products....AND the Starter Kit is reduced to $125 (from $175) during this period! SQUEEEE! 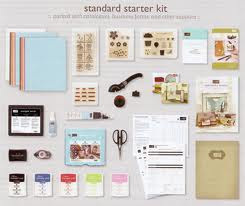 The standard starter kit comes with everything you need to start your own Stampin' Up business...OR just stock up on some awesome stamping supplies then benefit from the discount!! You get to choose the color of ink pads and paper AND your stamp sets! It's such a good deal! Over $400 worth of products for $125!! Click HERE to access my website and sign up online! Yay! 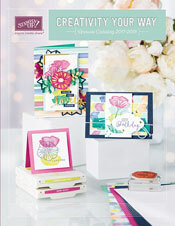 Occasions Mini Catalog is here!!!! !